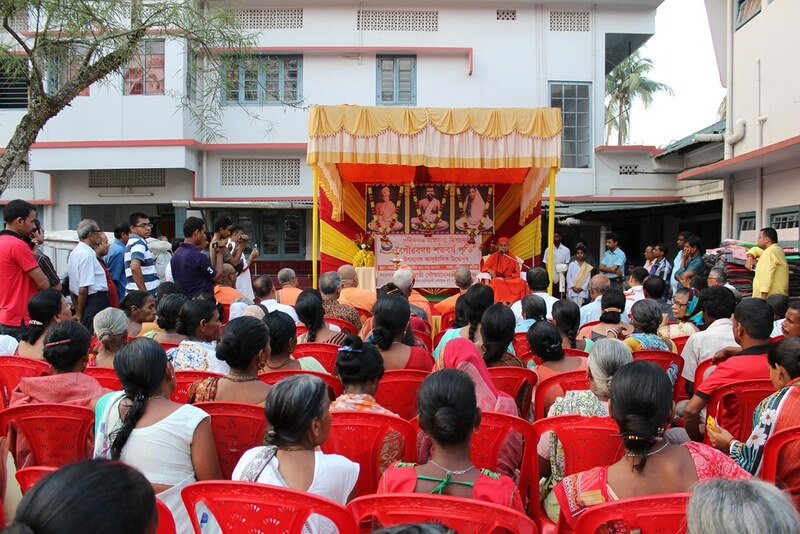 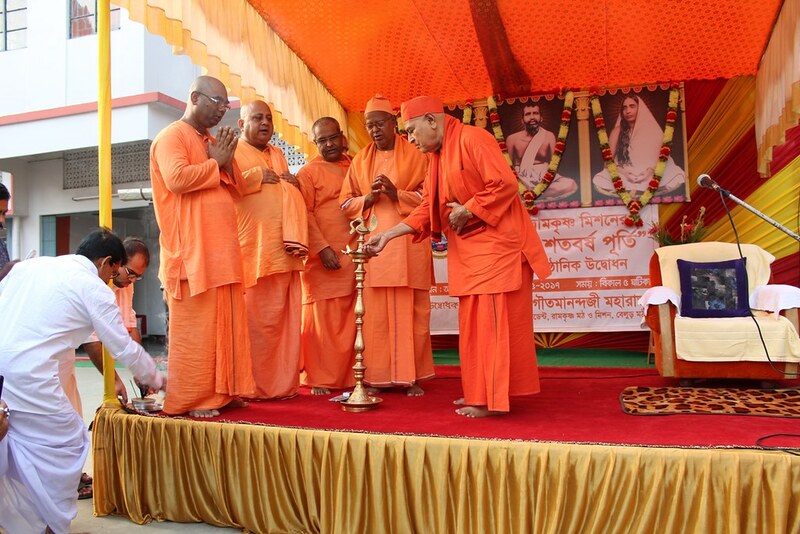 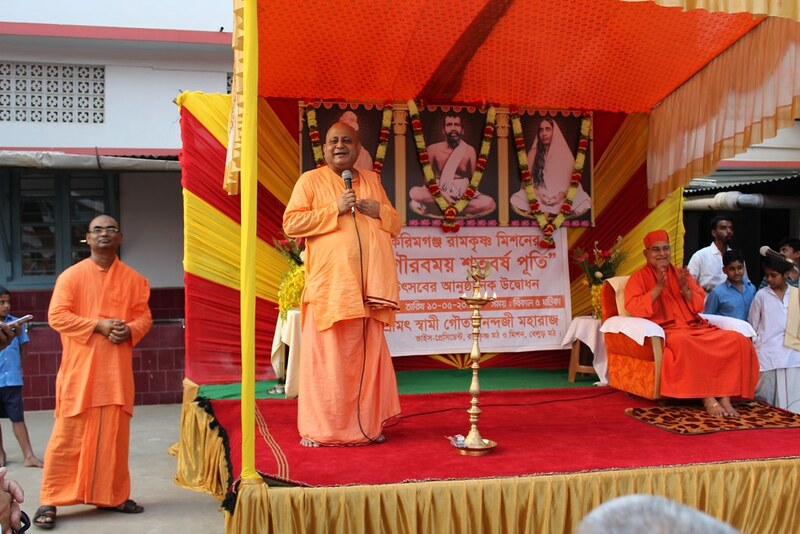 Ramakrishna Mission, Karimganj, is completing 100 years of its existence this year. 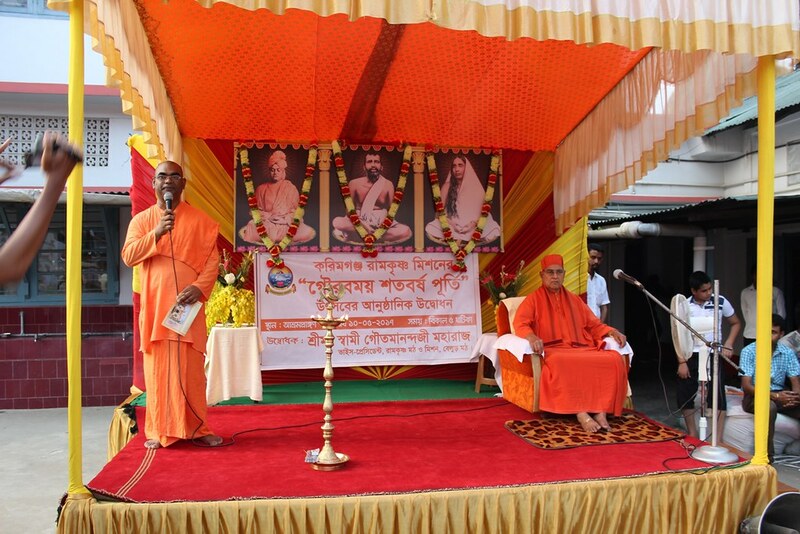 To commemorate this memorable occasion several programmes will be organized by the ashrama, from May 2017 to Nov 2018. 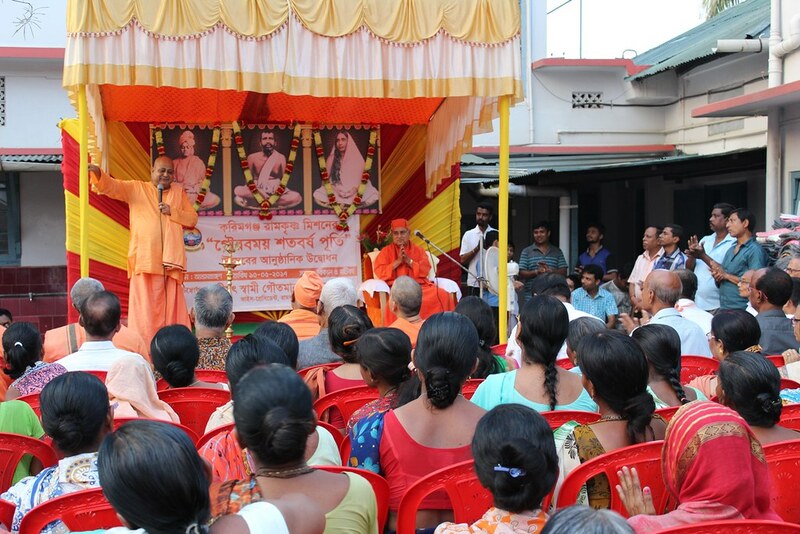 The ashrama has also undertaken a few projects of permanent nature such as construction of Sri Sri Durga Mandap, prasad distribution hall, installing Swamiji’s life-size bronze statue, etc to make this occasion a memorable one. 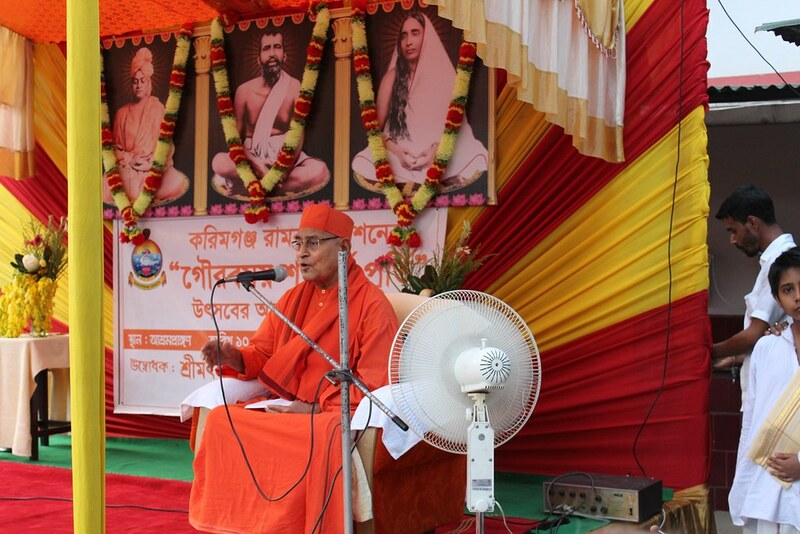 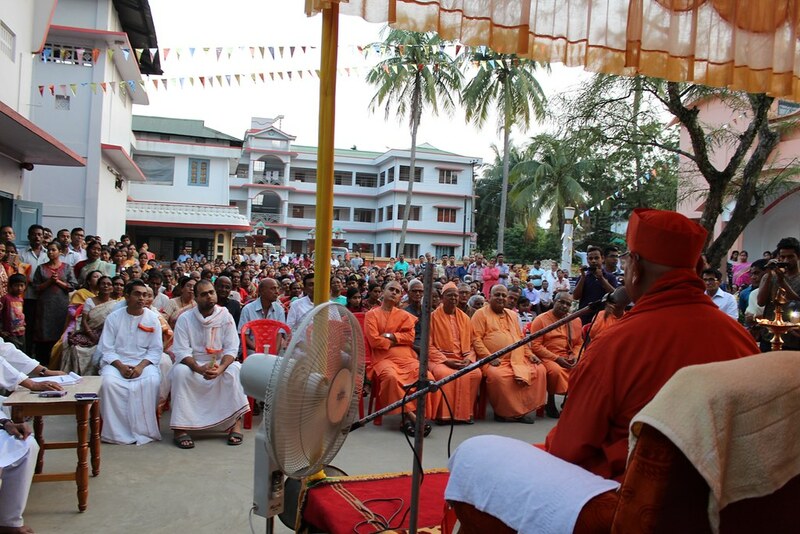 The centenary celebrations were inaugurated by Srimat Swami Gautamanandaji Maharaj, (Vice President, Ramakrishna Math & Ramakrishna Mission) on Wed, 10 May, 2017, the thrice blessed day of Sri Sri Buddha Purnima, in the presence of Swami Jushtananda, Swami Nareshananda, Swami Satyasthananda and few other monks & about 500 devotees. 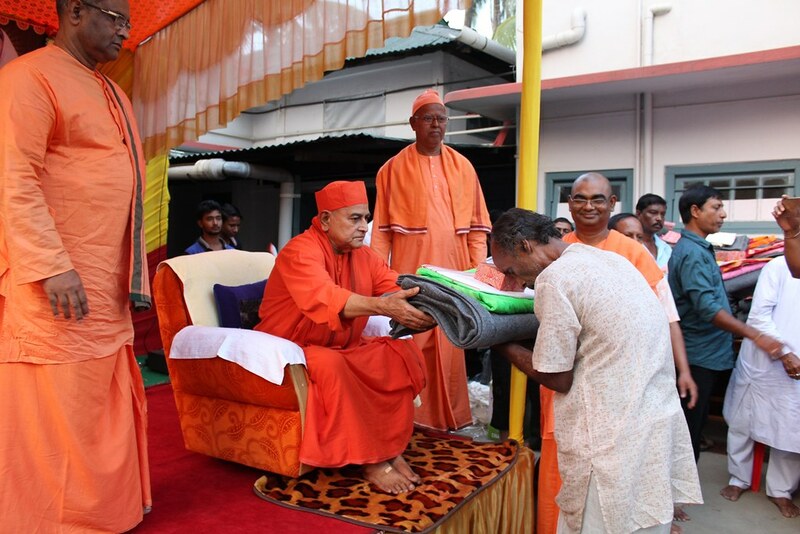 On this occasion blankets, mosquito nets, dhotis/sarees and sweet packets were distributed to 110 poor & needy people as Daridra Narayan seva.